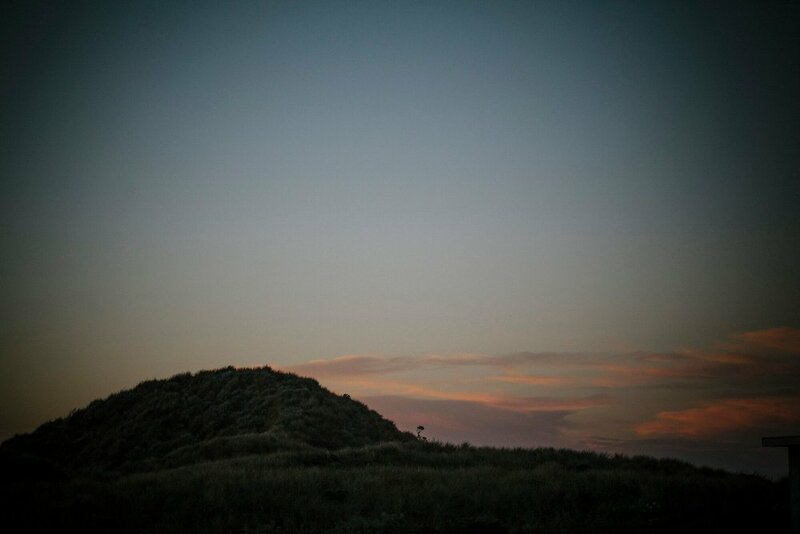 The elegance and mystery of the dusk light made for the most astonishing of all images. 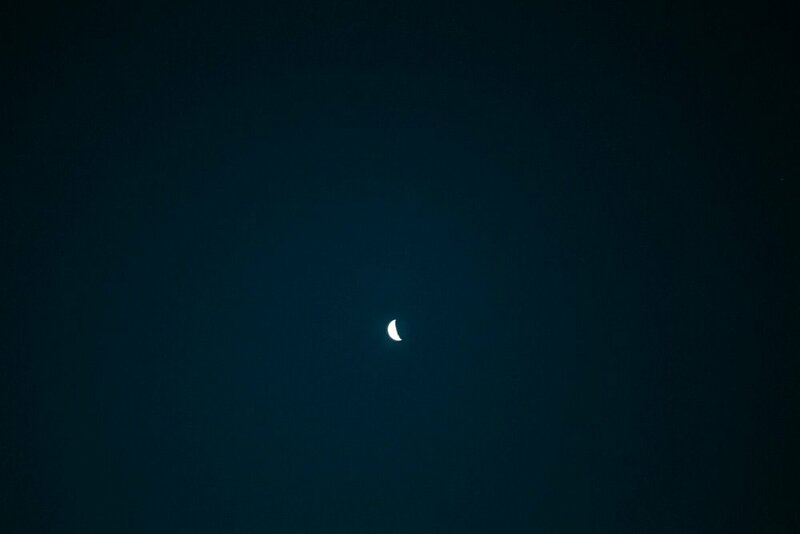 It’s a moment in a day that is full of striking mystery, as the sun begins to set and the moon slowly makes its presence known, the atmosphere develops a crisp edge and shadows begin to deepen. 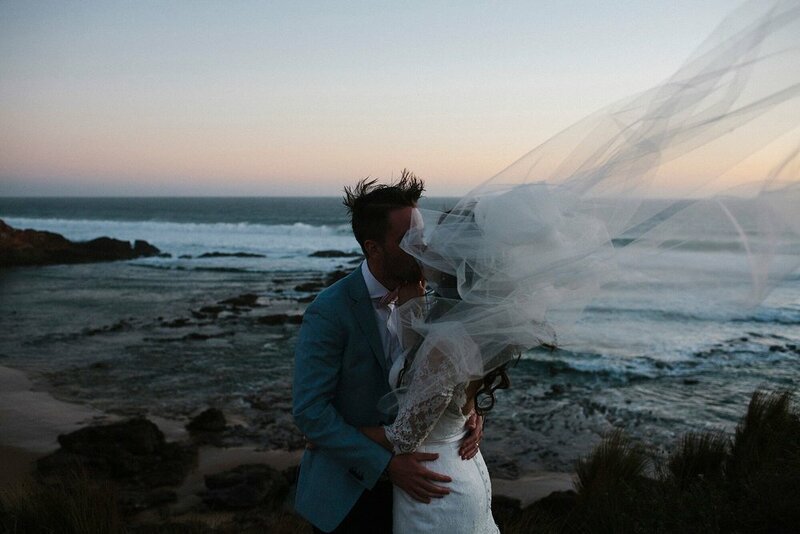 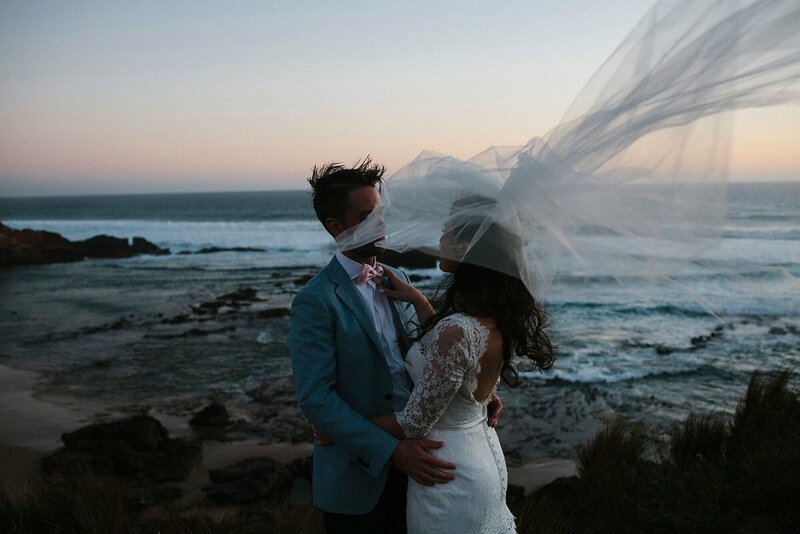 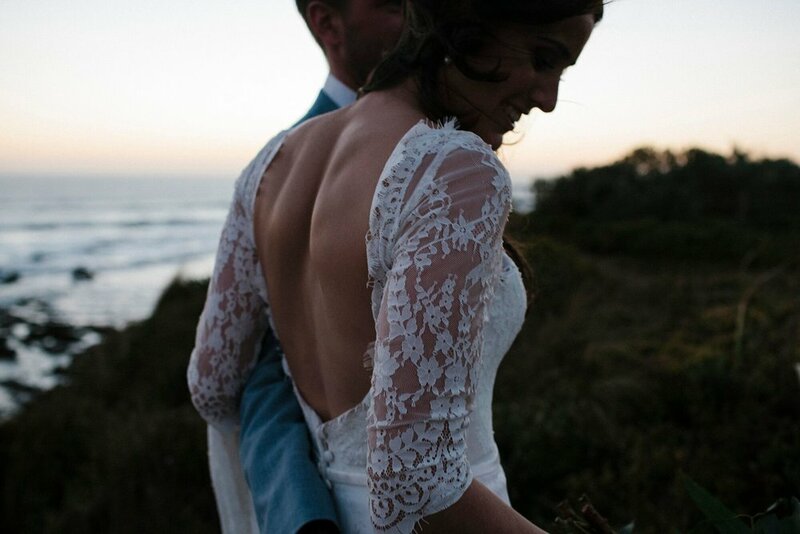 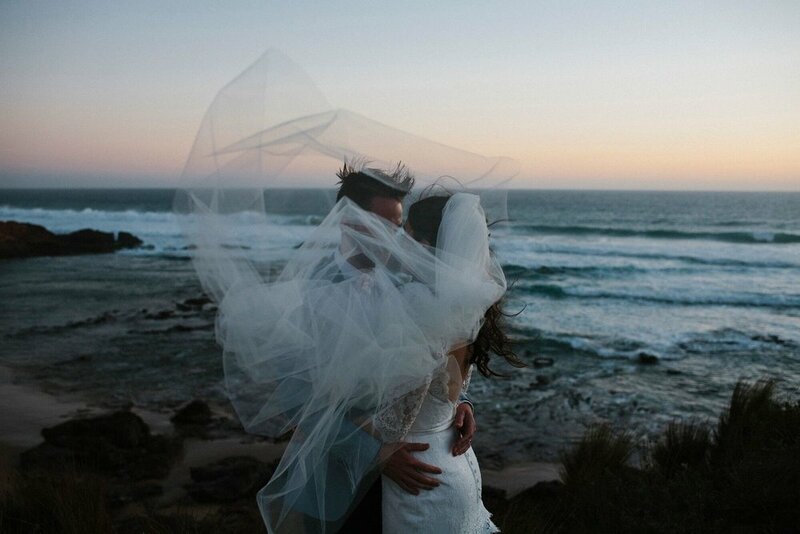 Set amongst the exalted clifftops of Phillip Island, with a backdrop of crashing waves and transforming skies, Fran and Dan took a moment away from their wedding celebrations to capture their love during a time of day in which passion accelerates. 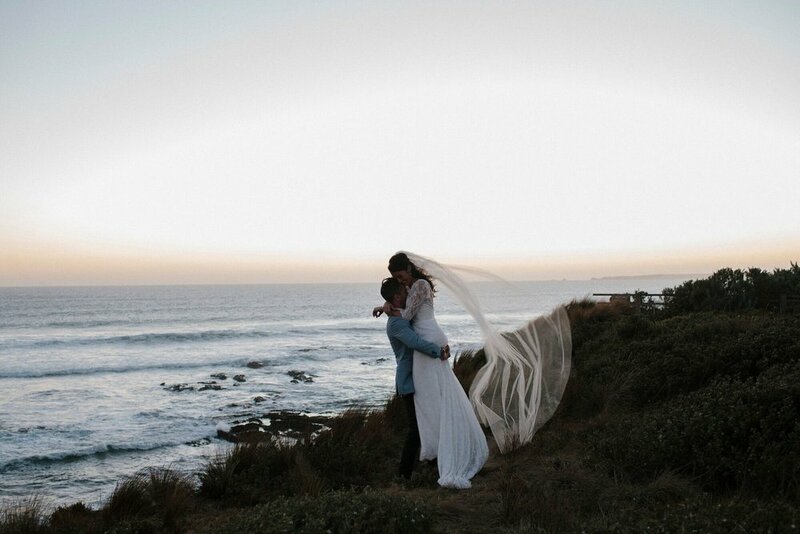 The couple ensured us that this was one of the most spectacular moments of their wedding day and suggest that other couples ‘do a twilight shoot, just the two of you’. 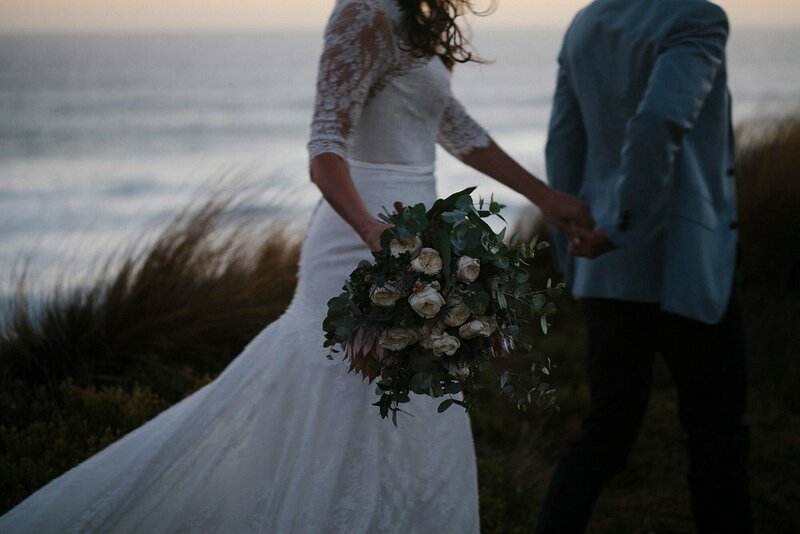 It’s Beautiful Here spent the day capturing this Phillip Island wedding where the elegance and mystery of the dusk light made for the most astonishing of all images. 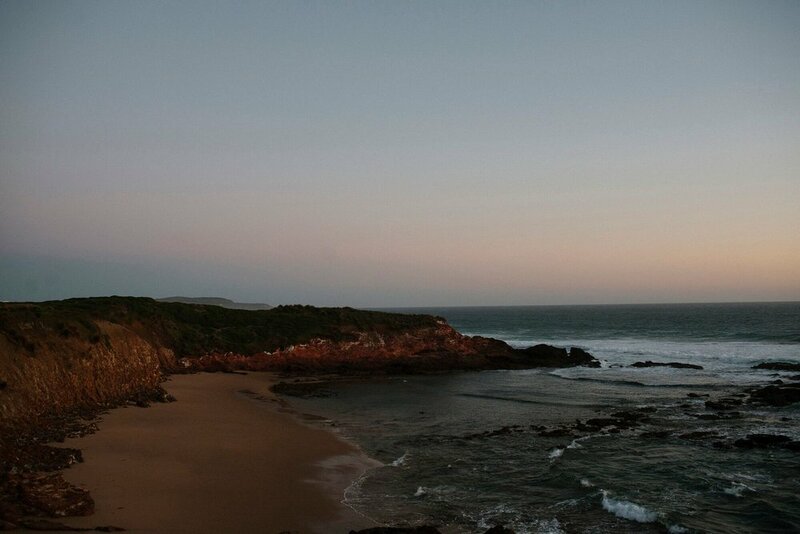 Remember to take a moment here and there to take it all in, and most importantly take some time to enjoy it together. 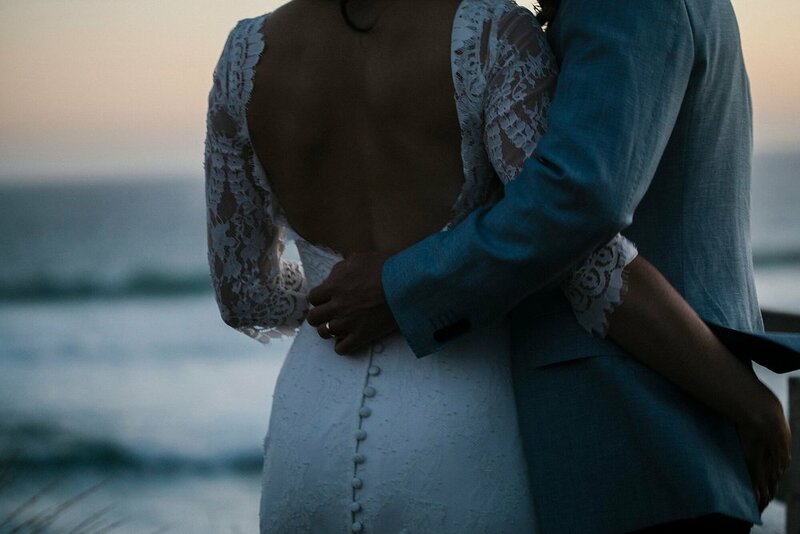 Do a twilight shoot just the two of you. 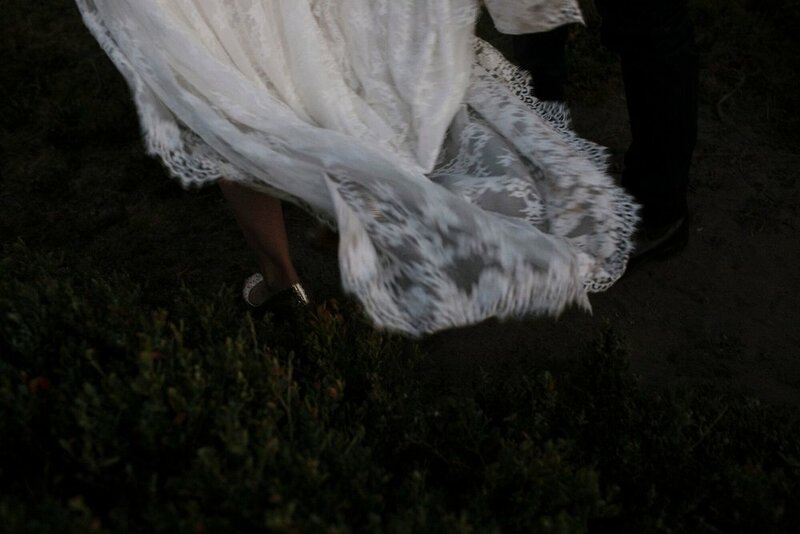 And finally, pick a song or two that you must dance to together. 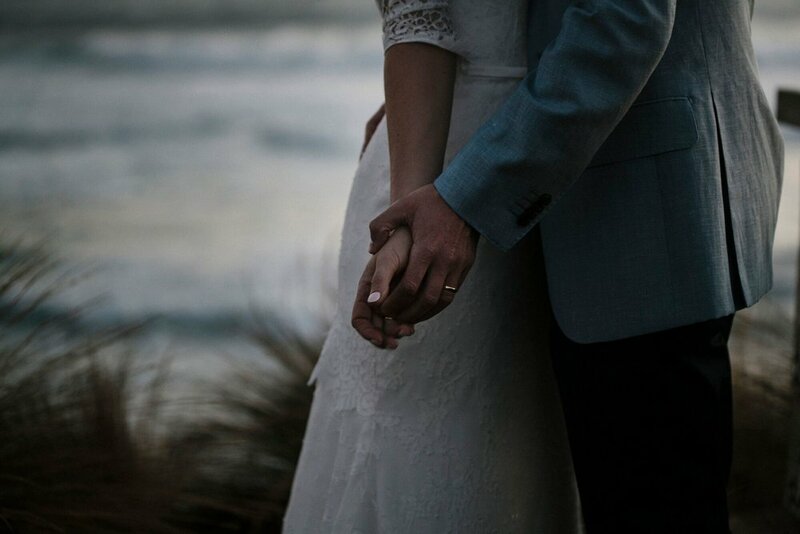 For As Long As We Both Shall Live?